As you can see, the MAC address is encapsulated as “021213FFFE141516”, with a checksum following it. NOTE: My initial plan of just modifying the EEPROM file failed. I was not able to change the adress, even using the methods described here: http://www.sics.se/contiki/tutorials/tutorial-running-contiki-with-uipv6-and-sicslowpan-support-on-the-atmel-raven.html Strange things are going on here. echo "Extracting memory sections from ELF"
echo "Make sure the fuses are set to:"
WARNING: I never managed to program the USB dongle using Mac OS. I used a WinXP machine and AVR Studio to upload the ELF file. Fuses must be set to: Extended 0xFB, High 0x99, Low 0xDE. 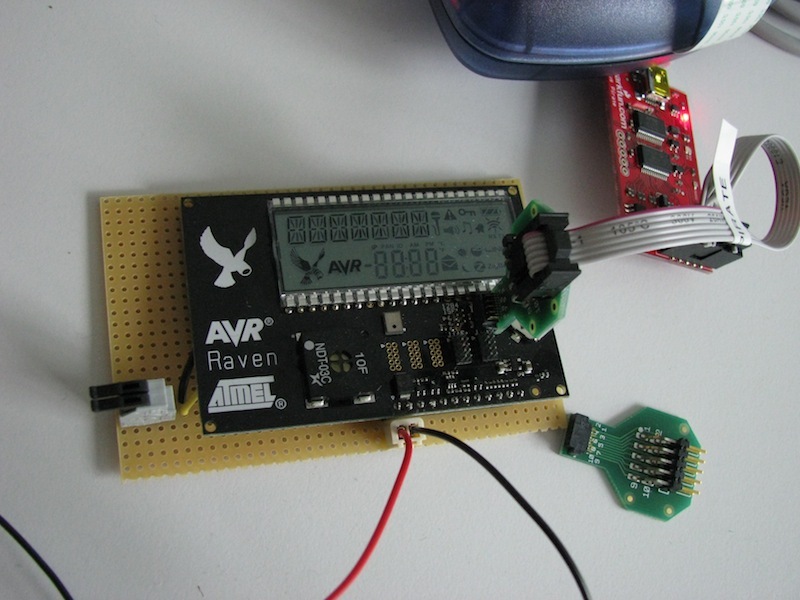 Flashing the raven board consists of two steps: Flashing the webserver and flashing the display/relay driver. Now, connect to the 3290 ISP connector. 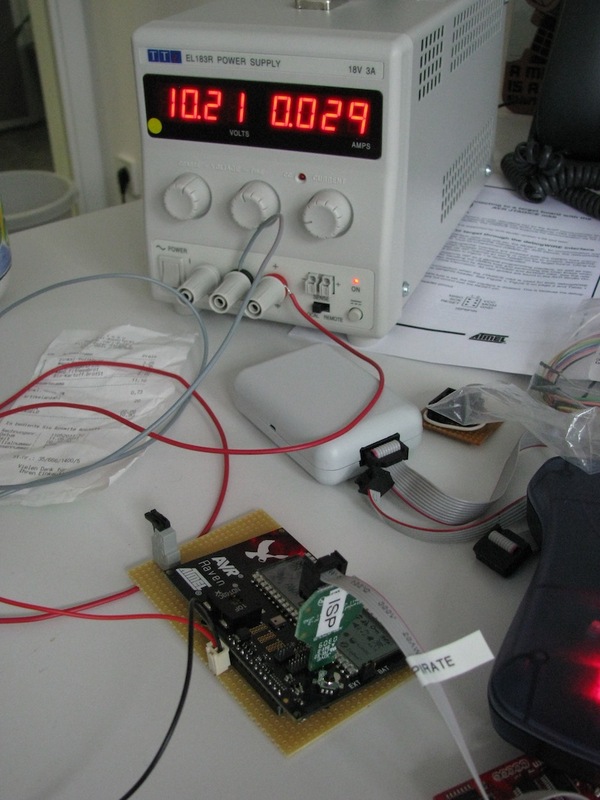 The mobile button runs on 9V, delivered by 2 9V block batteries. They are connected in parallel. The capacity of a 9V alkaline cell is approx. 500 mAh. The circuit draws 33mA. Therefore, the setup will run for (2*500mAh)/(33mA) = 30h.